For a number of reasons there is a pressing need to define and elaborate the Islamic paradigm of thought, that is, to explain for a modern audience the Islamic concept. The Muslim needs this definition because it provides him with a comprehensive explanation of all that exists, on the basis of which he relates to the world. This explanation brings him closer to an under­ standing of the great realities that confront him, and of the nature of the relationships and connections that exist among these realities, namely, the reality of the Creator and the reality of the created (the latter including the universe, life, and man), and their mutual relation­ ships and interconnections. The definition of the Islamic concept is also necessary for the Muslim so that he may understand the central position that man occupies in this universe and the ultimate purpose for which he is created. This knowledge in turn defines the role of man in the universe, the parameters and perimeters of the field of his activities, and the limits of his relationship with his Creator. Such a definition, moreover, is essential because the understanding of this comprehensive view and the recognition of man's central position in the universe and the purpose of his existence define the Muslim's way of life and the kind of system established by this way of life. The system established in man's life is based entirely on this comprehensive view and follows logically from it. Without this base, the system would be mere patchwork, having shallow roots that will quickly disintegrate. Such a contrived system, while it lasts, is a cause of suffering and misery for people, since there exists a fundamental conflict between such a system and man's basic nature and real needs. This judgement applies to all systems current in. the world today, without any exception, especially to the systems of the so-called "advanced" nations. The definition of the Islamic concept is also needed because the Islamic din was revealed in order to initiate a special kind of ummah (community), unique and distinctive, namely, an ummah that came to lead mankind, to establish the way of Allah on earth, and to save people from the misery brought about by misguided leadership, er­roneous ways, and false concepts. Today we see mankind in a miserable condition, despite some variations in forms and appear­ances. If a Muslim grasps the Islamic belief-concept and its essential constituents, he is guaranteed a role as a founding member of this dynamic ummah, with its special characteristics and distinguishing features, a member capable of leadership and grace. The clarity of his belief-concept is a great guiding force because the Muslim's system of life originates from this concept and is based upon it. It is this belief-concept that directs all individual and collective activities in various fields of human endeavor. The Qur'an presents this comprehensive explanation to people in such a complete form that it takes into consideration all aspects of human nature, and satisfies its needs in every dimension. It deals with all matters, those pertaining to the senses, to feelings, to thought, to intuition, and to insight, and addresses all the elements of man's awareness, just as it deals also with his material needs in the physical world. It does so in a style that exhorts, inspires, and guides all these elements of human nature in a harmonious and natural manner, since it comes from the Originator of the universe and the Creator of man. The first group of Muslims molded their lives according to this concept which comes directly from the Qur'an. They adapted to it in a uniquely complete way, and consequently the leadership of mankind was bestowed upon them. They led mankind in a manner unparalleled in history, either before or after. In matters related both to the heart and mind and to the world of actions and events, these first Muslims established such an exemplary system for mankind that it has not been repeated or even approached in the subsequent history of the world. The Qur’an was the foremost source for this group of people. Indeed, this group itself was a product of the Qur'an. What an amazing phenomenon in the history of mankind: a nation emerging from the text of a Book, living by it, and depending on its guidance as the prime source! The practice or the Sunnah of the Prophet (peace be on him) reinforced this guidance as its complete, practical application. This point has been summarized by the Prophet's wife, 'Aishah. When she was asked about the character of the Messenger of Allah (peace be on him), she replied, aptly, summing up a deep truth, "His character was the Qur'an" (Al-Nasa'i). Later generations drifted away from the Qur'an, from its particular style, its guidance, and from the milieu of values and practice similar to those found in the milieu in which the Qur'an was revealed. Only those living in such an atmosphere can truly understand the Qur'an and be inspired by it. No one can understand the Qur'an as it should be understood unless he lives amidst the toil and struggle accompany­ing the revival of the real Islamic way of life, with all its burdens, its sacrifices, its sorrows, and all the situations that arise in its confron­tation with jahiliyyah at any given time. The real problem in grasping the significance and the spirit of the Qur'anic teachings does not lie in understanding its words and sen­tences, that is to say, its exegesis, as is often claimed. This does not constitute a problem at all. The problem lies in the capacity of our minds to reconstruct feelings, ideas, and experiences like the feelings, ideas, and experiences of the first generation of Muslims when they received these revelations from the lips of the Prophet (peace be upon him) in the thick of the struggle. Theirs was a struggle of jihad, of striving within oneself and striving with other people. It was a fight against temptations and a battle against enemies -exertions on behalf of others, and sacrifices, fears, and hopes. It was a constant cycle of falling down and rising up. The first Muslims experienced the ex­hilarating beginning of the Call in Makkah, and also the subsequent poverty and weakness, the indignities of being outcasts among the people and of being shut up in the Valleyof Abu Talib, the hunger and the fear, the torments of being hunted down, and the boycott. And then they experienced the atmosphere surrounding the establishment of the Muslim ummah and the initiation of a social and political order, with ever present friction between feelings and policies throughout its period of construction and organization. Such was the vibrant and pulsating atmosphere in which the Qur'an was revealed, with its words and messages full of meaning and inspiration. And without doubt, in a similar atmosphere -an atmos­phere that always accompanies any new attempt at the revival of Islamic life -the Qur'an will again open its treasures to men's hearts and bestow its secrets on their minds, sending forth its fragrance in all directions and bringing guidance and light. They consider it to be a favor on you (Muhammad) that they have accepted Islam. Say: Your acceptance of Islam is not a favor to me. Nay, rather Allah has conferred a favor on you by guiding you to faith, if you are (really) truthful (Al-­Hujurat 49:17). O you who believe, respond to Allah and the Messenger when he calls you to what will give you life, and know that Allah comes between a man and his (own) heart, and that to Him you shall be gathered. And beware of a trial that shall not befall only the wrongdoers among you, and know that Allah is severe in retribution. And remember when you were few and weak in the land, fearing that people would do away with you, whereupon He gave refuge and strengthened you with His help, and provided you with what is good, in order that you might be thankful (Al-Anfal 8:24- 26). And Allah helped you at Badr when you were a humble force, so be conscious of Allah so that you may be thankful (A le 'Imran 3: 123). Do not be faint-hearted nor grieve, for you shall be the uppermost if you are believers. If some hurt touches you, a similar hurt has touched the (unbelieving) people. We apportion such days among mankind so that Allah may know those who believe and that He may take witnesses from among you -for Allah does not love those who do wrong -and so that Allah may prove those who believe and obliterate the unbelievers. Or did you imagine that you would enter the Garden (of Paradise) without Allah's know­ing which of you have struggled or knowing those who are steadfast? (Ale '1mran 3: 139-143). You will surely be tried in your possessions and your persons, and you will hear much abuse from those who were given the Book before you and from those who associate others with Allah. But if you remain steadfast and are conscious of Allah, this, behold, is something to set one's heart upon (Ale 'Imran 3: 186). They grasped the truth of all these messages of Allah Most High because He was talking about events that were occurring in their lives, about happenings that were fresh in their memories, and about con­ditions surrounding them that were not remote in time and were within the experience of that generation. Only those who are passing through similar experiences today can truly grasp the meanings and messages of the Qur'an. It is they alone who appreciate the beauties of the Islamic concept as presented in the Qur'an, because this concept is an integral part of their own feelings and experience. They are receptive to it and see its light. But such individuals are few. Since people have drifted away from the Qur'an and from living in its atmosphere, it becomes incumbent on us to present to them the truths of the Islamic concept concerning Allah, the universe, and life and man, taken directly from the text of the Qur'an, together with some explanations, interpretations, classifica­tion, and synthesis. This can in no way be a substitute for the richness of the Qur'an in addressing minds and hearts, but, to the extent possible, it is intended to bring people closer to the Qur'an. It is an attempt at making them enjoy the Qur'an and seek in it the great truths of the Islamic concept for themselves. We must make it clear, however, that we do not desire to seek the truths of the Islamic concept merely for the sake of academic knowledge. We have no desire to add still another book to the shelves of Islamic libraries under the heading of "Islamic Philosophy." Never! Indeed, our purpose is not mere cold' 'knowledge" which deals only with intellectual issues and adds to the stock of "culture." For us, this sort of activity is somewhat trivial and cheap and not worth the effort. Rather, we want to bring about that "movement" which is beyond "knowledge." We want the knowledge of the Islamic concept to lead people toward the realization of its contents in the real world. We desire to awaken the conscience of the' 'human being" so that he may fulfill the purpose of his creation as delineated by this divinely ­revealed concept. Our concern is that people return to their Lord, to the path He intends for them, and to the sublime way of life consonant with the nobility bestowed upon them by Allah, as it was once actualized in history when an ummah came into being based on this concept and led mankind toward what is good, wholesome, and constructive. There came a time in the history of Islam when the original Islamic way of life, based on the pure Islamic concept, came in contact with other lifestyles and cultures prevalent in the lands that had newly joined the Islamic fold and in lands still more distant. The early days of struggle for the propagation of the Faith and of jihad had given way to a period of ease and comfort. At the same time, certain political occurrences, harking back to the disputes between 'Ali and Muawiyah, had raised various thorny philosophical and religious issues and caused the contending parties to support their position by rational argument. People residing in the Islamic ter­ritories studied Greek philosophy and involved themselves in the theological issues that had plagued Christianity earlier, and which were now accessible to Muslims through translations into the Arabic language. Such involvement in metaphysical speculation, which no doubt gave intellectual pleasure to those who engaged in it during the Abbasid period and likewise in Andalusia, introduced deviations and foreign elements into the original Islamic concept, which had come originally to rescue mankind from such deviations and speculations. This all-encompassing concept was revealed to restore mankind to the dynamic and practical Islamic belief system that directs all human energies toward building and construction, sublimity and purity, and living and sharing, while protecting this human energy and intellec­tual power from being dissipated through meaningless pursuits in the wilderness of philosophical speculation. Many Muslim scholars thought it necessary to respond to the con­troversies and issues concerning the person of Allah Most High and His attributes, will, and power, and concerning man's actions, and such topics as reward, punishment, sin, and repentance, with rational arguments, intellectual debate, and polemics. As a consequence of such debates, which soon degenerated into polemics, various sects came into being, such as the Kharijiyyah, Shi'ah, Mu'tazilah, Qadariyah, and Jabriyah. Among Muslim thinkers, there were some who adored Greek philosophy, especially the commentaries on Aris­totle, to whom they fondly referred as "the first teacher," and they loved scholastic theology or metaphysics. They presumed that' 'Is­lamic thought" could not reach maturity and perfection, or greatness and glory, unless it were clothed in this garment, the cloak of rational philosophy, and unless volumes were written about it. Just as nowadays some people admire Western modes of thought, they ad­mired the modes of thought of their era and attempted to develop "Islamic philosophy" on the pattern of Greek philosophy. Others initiated the Science of Kalam to address theological issues through Aristotelian logic. They abandoned the Islamic concept and its own pure and inde­pendent format, which suits its nature so perfectly since both concept and format address the total nature of man with all his faculties and concerns, and not merely his intellect in cold logical terms. Instead they took the mould of philosophy and tried to pour the Islamic concept into it. They borrowed various philosophical concepts and tried to demonstrate that the Islamic concept agrees with them. Even their terminology was almost entirely borrowed. In general, there exists a genuine disharmony between the methodology of philosophy and the methodology of belief, between the style of philosophy and the style of belief, and, in particular, between the great and sublime truths of the Islamic faith and the petty, artificial, and confused efforts that go under the headings of metaphysical philosophy and scholastic theology. The so-called' 'Is­lamic philosophy" was nothing more than a discordant note in the harmonious melody of the Islamic belief. Such intellectual gymnastics merely produced confusion in people's minds and polluted the purity of the Islamic concept, narrowing its scope and rendering it superfi­cial, dry, complicated, and incomprehensible. The whole corpus of "Islamic philosophy" and of the Science of Kalam was and is com­pletely foreign to Islam -to its nature, method, style, and teachings. This statement will come as a shock, of course, to a great number of people who indulge in what they term "Islamic philosophy" and, in general, to those who enjoy any kind of philosophical discussion. But the Islamic concept cannot be purified of distortions and devia­tions unless we remove from it everything to which the label of "Islamic philosophy" applies, discard every issue relating to the Science of Kalam, and sweep away all the differences of various sects that have come to us from times past. We can then return to the Qur'an and take the Islamic concept, with all the characteristics that distin­guish it from every other concept, directly from the Qur'an. There is, of course, no harm in making comparisons with other concepts in order to clarify its characteristics, but the constituents of this concept must be taken directly from the Qur'an and presented entirely in their own format and terminology. In order to understand our method of presenting the Islamic con­cept, we must bear in mind three important facts. First, the heritage received by the Islamic world from Greek philosophy and Christian theology can be traced in the disputes among various sects. Their disputations consisted of nothing more than latter-day commentaries on the original works, conveyed in a polemical and argumentative style. To reproduce them now would cause only confusion and disturbance in the minds of sincere people. Second, the attempt to reconcile these commentaries on Greek philosophy with the Islamic concept was simple-minded to the ex­treme, because it demonstrated ignorance of the nature of Greek philosophy, its deeply-rooted pagan elements, and its lack of a unified system and a unified method, all of which are quite the antithesis of the Islamic concept as revealed in its original sources. Greek philosophy originated in the midst of an idolatrous society burdened with mythology. Its roots were nourished by the same myths and pagan concepts, and it was never free of such pagan mythological influences. What greater naiveté and futility can there be than to try to reconcile such a philosophy with the Islamic concept, which is based entirely on the pure, absolute, and uncompromising belief in the Oneness of Allah, Most High. But, under the influence of latter-day Christian commentaries, Muslims who engaged in philosophical dis­cussions held the erroneous view that "the Philosophers" (by which they meant the Greek philosophers) could not have been pagan nor could they have strayed from the Oneness of Allah. Under this illusion, they took upon themselves the impossible task of reconciling the Philosophers' discourses with the Islamic belief. Unfortunately, a major portion of "Islamic philosophy" consists of such attempts. Third, after the murder of 'Uthman (may Allah be pleased with him), the Islamic world faced many practical problems. People began to interpret the verses of the Qur'an to suit their own purposes, giving them far-fetched meanings. Moreover, arguments were put forward for and against various sectarian views, each seeking support for its opinions from philosophy and scholastic theology. Most such argu­ments were biased. Consequently, such sources, biased as they are, cannot be relied upon to present the pure Islamic thought. Its charac­teristics and constituents must be derived from the fixed text of the Qur'an and must be free of such pollutants from the legacy of history. Indeed, it is better to set aside this entire legacy. 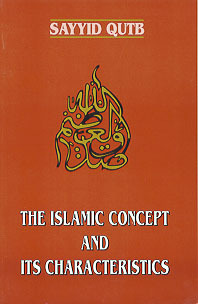 For our understanding of the genuine teachings of Islam, however, and for the study of Islamic history in a proper perspective, we should study the various aspects of deviations and their causes in order to avoid similar pitfalls today in delineating the meaning of the Islamic concept and in formulating a blueprint of the Islamic system of thought and action. Western modes of thought developed in their own particular fashion. In the beginning they were based on Greek thought with all its pagan elements, while in the end their main concern was to oppose the Church and its teachings. Since the Renaissance, the general trend of the Western mode of thought was criticism of the Catholic Church and its doctrines, and, with the passage of time, to object to all religion and religious doctrines per se. But the doctrines of the Church, by and large, did not, at any point, represent the true teachings of the Prophet Jesus (peace be upon him). Christianity was born in the shadow of the pagan Roman Empire. Later, when the Roman Empire adopted Christianity as the state religion, it did great violence to the true teachings of Jesus, distorting them beyond recognition. In the beginning, the distortions came from the influence of Roman paganism, but later the Church and its councils added many alien concepts to the divinely-revealed teach­ings. Religious passions were exploited to keep the Empire together, expositions of faith were intended to halt disputes between the contending factions, and doctrines were propounded to unite heretics to the orthodox Church and to the central government. Thus, the "Christianity" expressed in the teachings of the Church had very little relationship to what came down from Allah to Jesus, the Messiah (peace be upon him). As a result of these compromises, the Church adopted many distorted concepts and a great deal of information concerning the universe that was incorrect and faulty, since error is a part of all human research, study, and experiment. When the astronomers and physicists started to correct the errors contained in these “facts," the origin of which was human rather than divine, the Church took a very harsh stand against them. Not content with mere verbal attacks, the Church fathers employed their temporal power to torture people for their heresies, whether religious or scientific. From that time to the present, "European thought" has taken an inimical stand not merely against the doctrines of the Church prevalent at that time, but against all religious ideas and concepts in general. Indeed, its enmity extended beyond religious ideas and concepts to the very essence of religious thought. The European thinkers originated modes and schools of thought whose basic pur­pose was to oppose the essence of religious thought itself. In order to get rid of the authority of the Church, they eliminated the God of the Church, sweeping away all ideas and ways of thought related to Him. The enmity of European thought to religion and to the methodology of religion consists not simply in the philosophical system, schools of thought, and subjects of study that were established in opposition to religion, but rather lies at the very heart of European thought and its method of acquiring knowledge. Accordingly, it is not possible to find a basis for Islamic thought in the modes and products of European thought, nor to reconstruct Islamic thought by borrowing from Western modes of thought or its products. As the reader will see toward the end of our discussion, such attempts have been made by some Muslim thinkers who desired to reconstruct Islamic thought by borrowing the methodology of European thought. Our methodology of researching the characteristics and con­stituents of the Islamic concept is to derive inspiration directly from the Qur’an, after having lived a lifetime under its shade, and to present, insofar as possible, the atmosphere and the religious, social, and political conditions of mankind at the time when Allah Most High revealed His Word for the guidance of humanity, as well as to point out the errors that have crept in as a result of deviating from this divine guidance. Our method in seeking inspiration from the Qur'an is not to con­ front it with pre-conceived criteria. We shall not apply to the text of the Qur'an either intellectual or rational criteria borrowed from the remnants of cultures that did not flow from the Qur'an itself, nor shall we interpret the verses of the Qur'an in such a way as to make them conform to such pre-established norms. Indeed, the Qur'an came to establish the correct norms and criteria that Allah desires for the life of mankind. Consequently, the least human beings can do in response to this favor of their Creator, who shows us His mercy and indulgence, though He is independent of His creation, is to receive it with gratitude and with minds clear of all impure and alien elements, so that this new concept may be purified from the remnants of ignorance, old or new, and conform solely to the instructions of Allah and not to the errant speculations of man. How can there be any room for pre-established criteria in referring to the Book of Allah, the Most High, for judgement? At the Outset, we must adapt our criteria to accord with the Book of Allah and base our concepts and standards of reference upon it. This alone is the correct methodology for dealing with the Qur'an and for deriving from it the Islamic concept and its characteristics and constituents. We must avoid the style of philosophy in presenting the Islamic concept, because there is a close relationship between subject and style of presentation. The style of philosophy can only change and distort the Islamic concept, because its nature and historical development are foreign and discordant, even inimical, to the nature of the Islamic concept. This fact is well-established. One who has grasped the Islamic concept will enjoy its truth and beauty only as expressed in the sublime text of the Qur'an. We disagree with Iqbal in his attempt to present Islam in the philosophical framework that he borrowed from the well-known systems of Hegel's Idealistic Rationalism and August Comte's Materialistic Objectivism. Indeed, a creed in general, and the Islamic creed in particular, has its own style of addressing the total nature of man. It is characterized by liveliness, harmony, and a direct appeal to intuition. It inspires the human soul with great truths, truths which cannot be fully expressed in words, although the words can point to them. The Qur'anic style of presenting Islamic belief has the distinc­tive characteristic that it appeals to all the elements constituting human nature, leaves no aspect untouched and no avenue of knowledge ignored, and does not merely address man's intellect alone. Philosophy, on the other hand, has a different style. It tries to capture reality in words. But, there are some aspects of reality that cannot be formulated in words and phrases. Furthermore, there are other aspects of reality that cannot be comprehended by human "thought" because they are outside the realm of its operation. If the philosophical style were adopted to express the truths of religion, these truths would be rendered complicated, dry, and lifeless. It may also be observed that philosophical systems have rarely, if ever, played a significant role in the daily lives of human beings. Religious beliefs have always motivated people to action, propelling them toward definite goals through the wilderness of time and the darkness of the way, whereas philosophical systems have not. A creed must be presented in its own particular style. Expressing it in the style of philosophy kills it, extinguishes its light and inspiration, and restricts it to only one aspect among the many aspects of man's being. Distortions, complexities, deviations, and dryness are intro­duced in any exposition of a belief system when a style is adopted that is foreign to its nature and has too narrow a framework. We should not hail the existence of "Islamic philosophy" with eagerness, nor should we feel any eagerness whatsoever to suppose that Islamic thought must possess such a branch or such a style for its exposition. Its absence is no loss to Islam or to "Islamic thought." On the contrary, its absence is a proof of Islam's strength, genuineness and great uniqueness. Another important aspect of our method of presentation is its constructive approach. We will not focus on this or that particular deviation in Islamic thought or practice. Our effort to clarify the characteristics and constituents of the Islamic concept is not in response to a specific deviation or situation in order to correct it. Rather, we want to present the truths of Islam in their entirety in the way the Qur'an contains them -complete, all-inclusive, balanced, and harmonious. There is a danger inherent in focusing one's attention on a specific deviation or defect and in trying to refute or to correct it by employing the total force of the truths of the Islamic concept. This danger is that one may go to the other extreme and introduce a new deviation in the process of trying to remove the old one -and a deviation is after all a deviation, whether it be old or new. We may find many examples of this danger in works produced for the “defense" of Islam by well-meaning Muslim thinkers who wanted to reply to the objections raised by the Orientalists and the atheists, both old and new. Similarly, we find examples of this in works written to correct a particular situation at a particular time and place. As an example, some Christian missionaries and some Zionist authors have accused Islam of being a religion of the sword, asserting that it was spread by the sword, whereupon some defenders of Islam from among us immediately rose up to remove this “blemish" from Islam. In their zeal to "defend" Islam against these vicious attacks, they downgraded the place of jihad in Islam by narrowing its sphere of application and by apologetically stating that jihad is permitted only for" defensive" purposes, in the narrow current technical sense of the word. They also lost sight of the fact that Islam, in its role as the last divinely-revealed guidance for mankind, has a natural duty, and therefore the right, to establish its particular system as preeminent on earth in order that the whole of mankind may benefit from its just, balanced, and humane laws, and so that every individual living under this system may enjoy freedom of belief. "There is no compulsion in religion" is a part of this faith. The effort expended in establishing the Islamic system for the benefit of all people, both Muslims and non­-Muslims alike, is termed jihad. Jihad is thus struggle for the initiation and establishment of this system which aims at securing freedom of conscience and belief for every person on earth. And this freedom can only be attained by establishing a just government and a just legal and social system, which calls to account anyone who tries to abolish freedom of speech and freedom of belief from the land. This is merely one example of how the Islamic concept can become corrupted by the very zeal of its defenders against the shrewd attacks of Islam's enemies. Deviations introduced into the Islamic concept by works written to correct a particular situation, may be illustrated in the writings of Imam Sheikh Muhammad `Abduh and in the lectures of Muhammad Iqbal published as The Reconstruction of Religious Thought in Islam. As Imam Sheikh Muhammad `Abduh surveyed the Muslim world, he found that ideas were stagnant and the door of ijtihad closed, and that "reason" was denied its role in understanding the Shari'ah of Allah and in deducing judgements from it. He observed that Muslim people were satisfied with books written by latter-day scholars who were a product of the period of stagnation of thought and whose books, reflecting popular religious lore, incorporated many nonsensical con­cepts. Looking abroad, he noted that, with the advent of the Age of Reason in Europe, "reason" was being worshipped there as a god, especially after the marvelous discoveries and achievements of science and the ascendancy of rationalist philosophies which ascribed to "reason" unlimited powers. At the same time, Orientalists of various hues were busy attacking the Islamic concept, the belief in the Will and Power of Allah and the apportionment of good and evil (qada wa qadar), and were blaming Islam for the lethargy and intellectual inactivity of Muslims. Consequently Sheikh Muhammad `Abduh decided to address himself to this particular situation. He confirmed the value of "reason" in relation to the “revealed text” by reviving the principle of ijtihad, and fought against the nonsense that had become popular religion. He argued that Islam gives human reason great value and a significant role in religion as well as in the practical affairs of life, and that, contrary to the allegations of certain outsiders, Islam does not teach absolute' 'predestination" devoid of "freedom of choice." However, caught between the two extremes of the intellectual inertia in the Muslim world and the deification of reason in Europe, he propounded the theory that human reason and divine revelation are of equal importance for the guidance of man, and that it is impossible that knowledge acquired through rational thought should come in conflict with divinely-revealed truths. He did not stop at saying merely that reason can comprehend what is within its grasp but must admit to what is beyond its grasp. Indeed, neither reason nor any of the other faculties of man are absolute and all-powerful but are bounded by the limits of space and time, whereas divine revelation (wahy) may deal with absolute realities such as the reality of God and the relationship of the will of God to created events. Reason has no choice but to accept these absolute principles which are beyond its grasp. Thus Sheikh Muham­mad `Abduh presented arguments that appeared logical, but which were, in fact, a product of his desire to correct that deviation of his time which denigrated and neglected the role of reason. He says (may Allah have mercy on his soul) in his treatise on the Oneness of Allah, "Divine revelation through messengers is an act of God, while human reason is also an act of God in this world, and acts of God are necessarily in harmony with each other, never at variance with each other." While this statement is true in a general sense, nevertheless divine revelation and human reason are not at the same level, the former being greater and more all-embracing than the latter. Divine revelation came down to be a source to which human reason must refer, and to be the criterion to which human reason must refer in judging norms, standards, and concepts, and in removing errors and shortcomings. While there is undoubtedly agreement and harmony between the two, it rests on the basis of the ultimate superiority of divine revelation and not on the basis of their being equal to each other in all respects. Moreover, "reason" as an abstract' 'ideal," free of the influences of cultural biases and personal opinions, does not exist in the actual world of human beings. The Sheikh's commentary on Juz 'Amm (the thirtieth part of the Qur'an) clearly shows the influence of this viewpoint. The commen­tary on the Qur'an by his pupil, Sheikh Rashid Rida, and the commen­tary on" Tabarak" (the twenty-ninth part of the Qur'an), by another pupil, Sheikh Al-Maghribi, are other examples of far-fetched inter­pretations of the Qur'anic text in an attempt to bring it into conformity with "reason." Therein lies the danger because the word "reason" does not refer to anything in existence. There is of course nothing which may be called" reason" in the abstract, free from the influence of personal desires, passions, biases, errors, and ignorance, to which the text of the Qur'an may be referred. If we were to interpret the verses of the Qur'an according to all these various. examples of "reason," we would end up in chaos. All this came about due to concentration on a single, specific deviation. But if the matter is considered on its own, we can easily understand the role of reason and its scope of action without either ­over- or under-estimating it, as well as the scope of Divine revelation and the correct relation between the two. Indeed, "reason" is not abandoned, discarded, or neglected in Divine revelation. In fact, it is human reason which is the recipient of Divine revelation. Its task is to receive this revelation, to understand what it receives, to grasp what lies within its scope, and to accept what is beyond its scope. But it cannot be the final' 'judge." Where a clear text exists, its content, without any far-fetched interpretation, is indisputable. The task of reason is to accept the standards and criteria established by this clear text and apply them in practical life. In our subsequent discussions we will provide ample details on this topic, delineating the correct Islamic position. Muhammad Iqbal surveyed the climate of thought in the East and found it "hazy." People were absorbed in what he called "ajami" (alien) mysticism, seeking' 'illuminations." It distressed him to see the pursuit of “annihilation" of self, in which there was no place for man's personality. The “passivity” of so-called mystic ways, which negate human endeavor and participation in worldly activity, shocked him because it is, indeed, contrary to the nature of Islam. On the other hand, he saw that, in the West, the objectivists and the pragmatists rely totally on sensory experiences. He also came across the proclama­tion of the birth of Superman and the death of God in Nietzsche's Thus Spake Zarathustra, a collection of Nietzsche's insane ejaculations which some call' 'philosophy." He decided to cleanse Islamic thought and Islamic practice from negativism and passivity, and to affirm on their behalf “experimenta­tion," the method on which the pragmatists and the objectivists relied. But he went too far in glorifying the human "self," which, in turn, forced him to interpret certain verses of the Qur'an in a manner contrary to its temperament, as well as to the temperament of Islam. He stated that death, and even the Day of Resurrection, do not end experimentation. Experimentation and progress, according to Iqbal, will continue even in the Garden and the Fire. But the Islamic concept states decisively that this world is for trial and action, while the Hereafter is for reward and punishment. Man has no scope for action except in this world, nor is there room for new action after the final accounting and recompense. This exaggeration of his was brought about by a strong desire to affirm" life" and its perpetuity, or the perpetuity of the "self," as Iqbal borrowed the term from Hegel's philosophy. On the other hand, he was also forced to expand the meaning of "experimentation" from its technical meaning in Western thought and its history. He included in its meaning the concept of "spiritual experience," which the Muslim realizes in his contact with the Great Reality, though in Western philosophy the term" experiment" is never applied to the spiritual, since, in its origin, the term' 'experimenta­tion" was coined to exclude any source of knowledge not based on sensory experience. Furthermore, Iqbal's borrowing of Western terminology led him to this prosaic work, which is difficult, terse as well as dry, while his poetry is alive, dynamic, and vibrant. Muhammad `Abduh and his pupils and by the poet Iqbal (may Allah have mercy on their souls), but is only meant to provide a warning that an over-enthusiastic attempt at confronting a particular deviation initiates another deviation. It is therefore best, in the course of presenting the Islamic concept, to express its truths in a complete, all-encompassing, and harmonious fashion, taking into consideration its particular nature and particular style. Finally, this book is not a work on "philosophy," "theology," or "metaphysics." It is dictated by practical considerations and deals with practical matters. Islam came to deliver mankind from the rubbish heaps of philosophies and religions under whose ideas, systems, and burdens it was groaning and from the wilderness of speculation in which its beliefs and ways of life had gone astray. It came to initiate for mankind a unique and distinct concept and to introduce a new life, running smoothly according to Allah's prescribed way. Unfortunately, however, mankind has again reverted to the rubbish heaps and the wilderness. The revelation of Islam came to initiate a new ummah and then handed over to it the leadership of mankind, thus bringing man out of the wilderness and the rubbish. But this very ummah has now abandoned its position of leadership and its method of leading, and is panting after the nations that are lost in the wilderness and wallowing in refuse. This book is an attempt to define the Islamic concept, and its characteristics and constituents, from which are derived the way of life prescribed by Allah and the principles of thought, science, and the arts, that follow from a comprehensive exposition of this original concept. Any research in any aspect of Islamic thought or of the Islamic system must be founded primarily on the Islamic way of thinking. This way of thinking is needed by the hearts and minds of man and by life and by the world. It is needed by the Muslim ummah and by the whole of mankind! This is the first part of a two part book. It deals with “The Characteristics of the Islamic Concept." Later, Allah willing, we will present the second part, "The Constituents of the Islamic Concept." And Allah is our Guide and Helper. The Arabic word din is often translated as "religion," but this is misleading because the term "religion" in the English language is usually restricted to personal worship, whereas din refers to every aspect of life. (Editor). Lit., "ignorance" As used in the Islamic sense ,jahiliyyah denotes ignorance or lack of awareness of Allah's guidance for mankind, whether of the ancient or the contemporary variety (trans.). One of the battles of the Prophet's era (trans.). T. W. Arnold, The Preaching of Is lam, p. 53. Muhammad Iqbal (1873-1938), poet and philosopher from the Punjab (Pakistan). The reference here is to Iqbal's book. The Reconstruction of Religious Thought in Islam (Trans). For further clarification of this point, see the chapter entitled' 'The Divine Origin of the Islamic Concept" in the present volume.